Italy is probably the most famous boot in the world and a popular destination for many rental car travelers. Impressive mountains and idyllic lakes in the north of Italy, the longest coast in Europe (7600 km) with countless great beaches, cultural sights in incredibly beautiful cities and the famous Dolce Vita - the sweet life - are waiting for you. Visit the cities of Pescara, Catanzaro, Tropea and Genoa with your rental car and experience the Italian joy of life up close. Italy's islands can be easily explored by rental car. Rent a car in Olbia or Cagliari and discover Sardinia. Visit small villages in the mountains and drive to the beach in your rental car to relax and unwind. The best place to pick up your rental car is at Olbia Airport or Cagliari Airport. 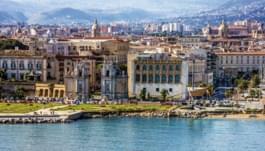 Another region by the sea that you should visit by rental car is Bari. You can also pick up your rental car at the airport or at the car rental office in the city center. Travel to Elba and pick up your rental car in Campo nell’Elba. In this way you can discover the island on your own. Relax at Padulella Beach or go on a hike to Monte Capanne. The many cities and regions of Italy represent the most diverse faces of the country. Whether Pisa, Turin, Naples, Livorno, Bolzano, Merano or Verona - each city has something very special for itself. 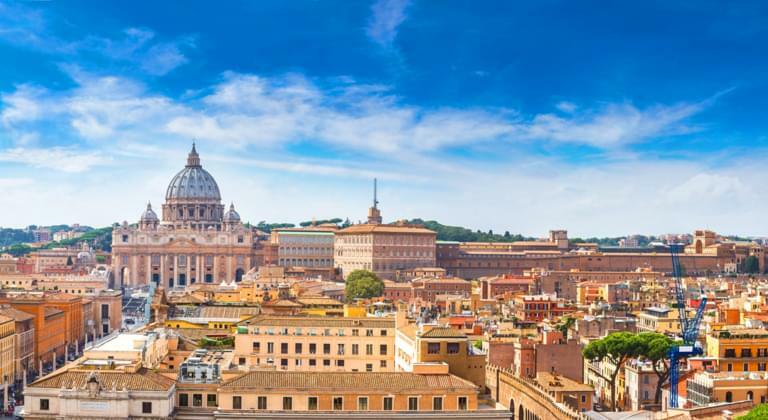 Florence and the Ponte Vecchio, Milan and its cathedral, Rome and the Colosseum or Venice and St. Mark's Square - in every city in Italy you will find world-famous attractions. But of course Italy is not only famous for these great cities but also for its beautiful landscapes. Be flexible with your rental car, travel to Piedmont and South Tyrol in the north of Italy, to the beautiful Tuscany on the west coast or to Calabria and Apulia in the very south of the country. On a journey by rental car in Italy the enjoyment should always be in the foreground: the enjoyment of sun and mild climate, the enjoyment of culinary specialties and the enjoyment of the Italian way of life. Get infected and enjoy Italy!